Which Naked Palette is Best? Makeup Brushes for a $1, What?? Guaranteed Tricks to Make sure you Never have a Bad Hair Day Again! Hi I'm Tricia. Like many women I love to find and try new beauty products, trends, and tips. I work hard at being an Beautician and Cosmetologist to help bring you the latest makeup & hair advice from a PRO ;). 9. Would you rather have more volume in your hair? 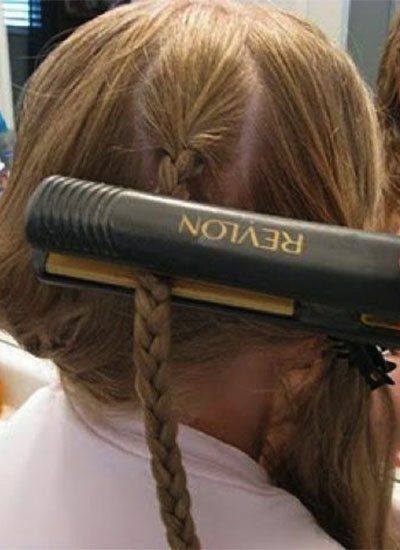 Hairstyle Hack: Braid your hair and then run a flat iron over them and over them again. The more braids you have the more volume your hair will get. 12. Love the look of a blow out instead? 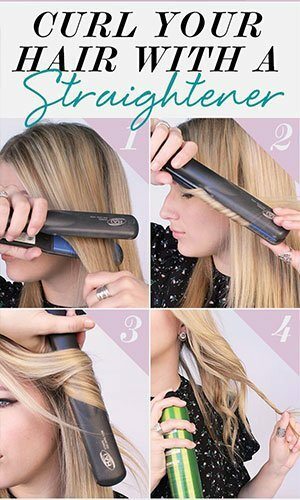 Here’s how you can get it with just a hair straightener! Few people are aware that flat irons aren’t designed to just straighten hair. A flat iron can also give you big luscious curls. A flat iron can also give you fun, beachy waves. Have you ever used a flat iron or hair straightener to curl your hair? I was accustomed to using my flat iron in the beauty shop until I found out that a flat iron can give you gorgeous curls. 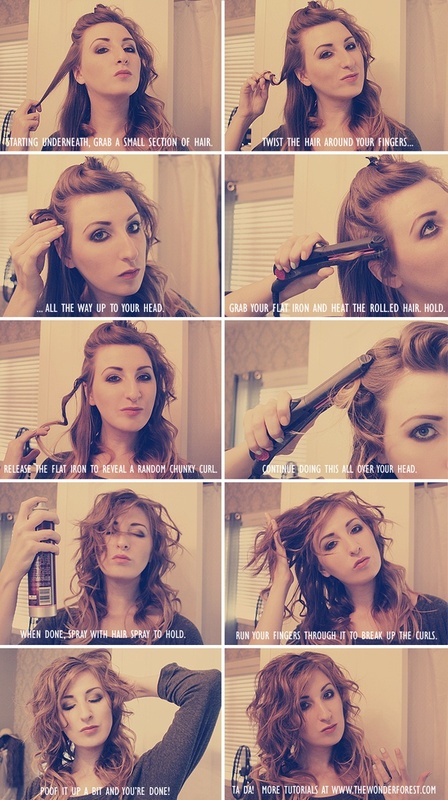 Now, I only use my curling iron for updos, wedding or prom hairstyles. Believe it or not you get some amazing looking Curls from your flat iron. 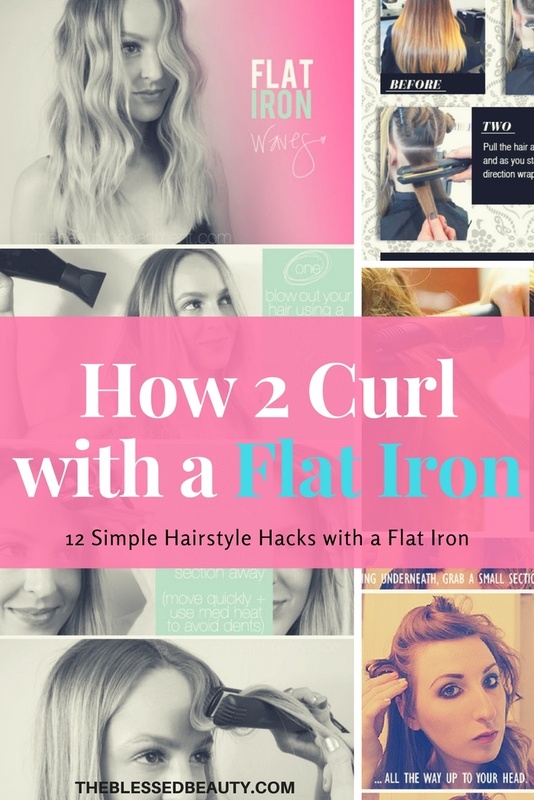 Don’t believe me well then check out the super easy hairstyle hacks below on how to curl your hair with a flat iron. If you don’t have a flat iron yet, head over to my buyer’s guide on hair straighteners and have a look at the selection of fantastic flat irons. If you are short on time, then I recommend you either pick up the HSI flat iron or the Babyliss Hair Straightener, as they are two of the best flat irons available on the market today. I can attest that these flat irons do a great job, because I own both! You will need to start the process by getting a good flat iron. Not all flat irons are created equal, and purchasing a good flat iron that suits your hair will result in beautiful curls and waves and will give you best results. We have a number of recommendations and reviews when it comes to the best flat irons on the market for your hair. Good preparation starts in the shower. Make sure you condition your hair, but don’t use too much conditioner. Focus the conditioner towards the middle and ends of your hair and make sure you rinse it out thoroughly so that none of the product is left in your hair. Don’t roughly towel dry your hair. Instead, use a towel to pat it down. 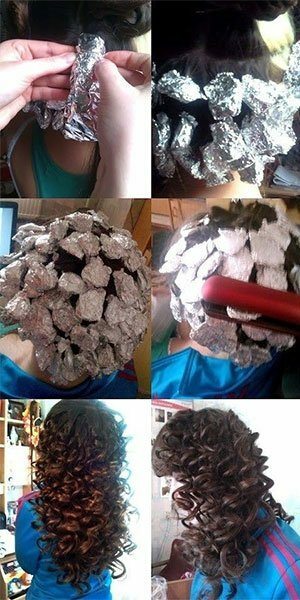 By using this method, you will avoid making your hair frizzy. To protect your hair, prep it with a heat protectant. Heat protectants can help reduce moisture loss and damage to your hair. A good product to try is HSI PROFESSIONAL Argan Oil Heat Protector. Always make sure you hair is fully dry before using a flat iron. Applying a flat iron on wet hair can have the unwanted effect of drying your hair out. To avoid that damage, wait until your hair is fully dry and then use the flat iron. Apply hairspray before your curl your hair. This will ensure your curls hold better. Never hold the iron on one section of hair for more than ten seconds. Ideally, you should only hold the iron in your hair for seven to ten seconds. If your hair is curl-resistant you can try to hold it in for one to two more seconds, but holding it in beyond that time could expose you to the risk of seriously damaging your hair. It is true that a higher set on your flat iron will ensure that your hair will set better. However, if you have very fine hair or your hair is processed, it is a good idea to put the heat setting a little lower. More delicate hair requires a gentler treatment. A heat protectant is a definite must in such cases. Thick, coarse hair can withstand higher settings, however, thick-haired women, too, should make sure to apply a heat protectant before they curl their hair with a flat iron. Keep the time in which you hold the iron on each section of hair constant. If you settled on eight seconds, then make it a constant for each section of hair. Changing the time on different sections of hair could have the effect of giving you weaker girls in some sections and stronger curls in another sections. If you have curly hair, you are going to need to straighten your hair before you curl it with the flat iron in order to get best results. If you leave your hair curly, it’s likely that you will be harder to curl and you will not get the desired results. Avoid touching your curls while your hair is cooling down. If you touch or play with your hair while still warm, you can risk stretching the curl out and losing the shape. It’s best to avoid doing anything with your hair until your hair has fully cooled down. If you want to try to prolong your curl shape, you can also roll up each section and pin it to your head while the curls are cooling. Once your curls have fully cooled down, you can unpin them and they should be able to hold their shape for a longer period of time. If you are planning to curl your hair with a flat iron frequently, it’s a good idea to get regular hair trims. Hair trims will ensure your hair stays healthy and will be able to take the heat. Tip: If you would like to achieve waves that are on the curlier side, then you’ll have to rotate your hand away from your face until your hair wraps around the iron. Feed one section of your hair between the clamps of the flat iron and in one fluid motion, try to twist the wrist away from the face so your hair streams over the flat iron. 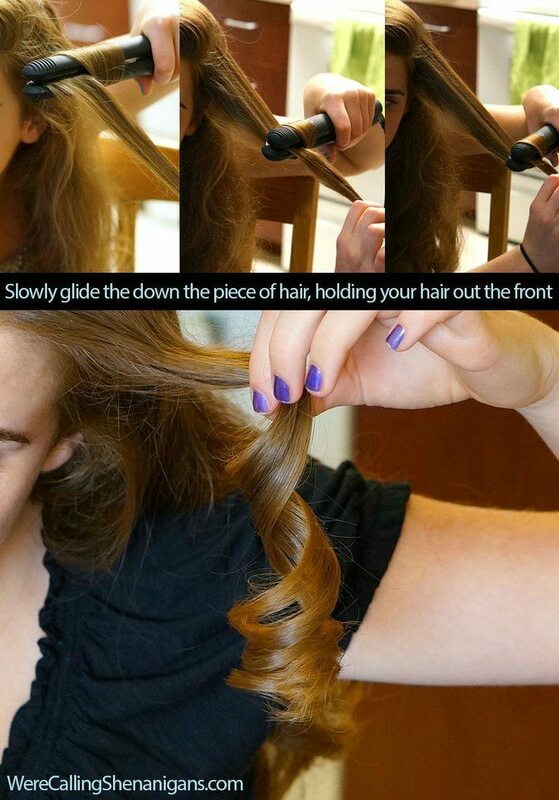 You hair should always wrap around the barrel of the iron as you go towards the tips of your hair. 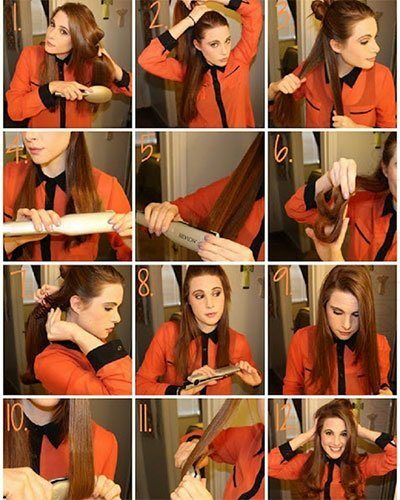 Take a one-inch section of hair and put it inside your flat iron. You can vary how much of your hair you section off but generally, if you want large curls it’s advisable to divide the sections into larger ones. For smaller curls, divide them into smaller sections, which can range from one half to one inch sections. 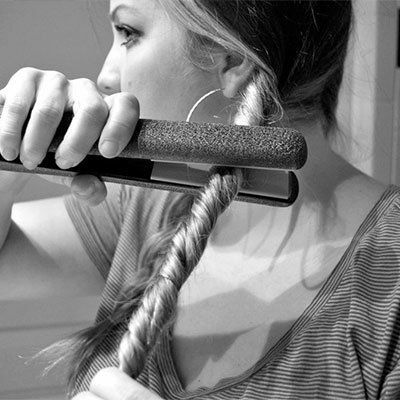 For larger curls, you can start from one-and-a-half inches and up. You may want to try to experiment with both big and small sectioning to find out which result appeals the most. Once you have inserted the desired section of hair, keep twisting your wrist until you reach the tips of your hair. You need to turn the iron in a way that makes sure that the hair is wrapped around the iron. You also should slide the iron through each section of the hair You may want to avoid going to the very ends of your hair to avoid split ends, but that may cost you a bit of curl. If you want tight curls slide the iron slowly through the hair, if you want a looser curl, then make sure to pull it through faster. Always make sure not to get too close to the scalp with your flat iron, as you definitely do not want to end up with a burned scalp. The picture below gives you a pretty good idea how to achieve those gorgeous beach waves. You should know that there are some important things that you should keep in mind before you create that beachy waves look. The most important thing you need to keep in mind in order to achieve this look is that you do not curl your hair all the way to the end. It is sufficient to go about three quarters of the way down and this should ensure that you get those fun and fresh beachy waves. Another tip that will help give you gorgeous waves is to curl your flat iron in the opposite direction from the previous section. 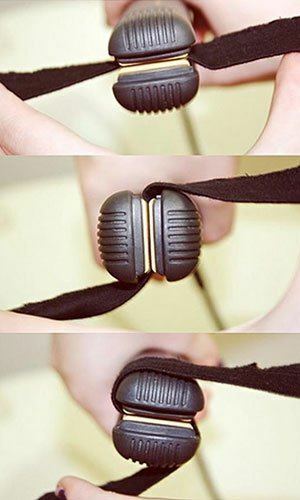 This will not only give your waves body but it will also stop your hair from sticking together. If you are going for a messier beachy look, when you’re done putting waves in your hair and your hair is cool, run your hands through your hair to mess it up a little. Finally, spray in a sea salt texturizing spray that is designed for beachy waves. We recommend Beachy Waves Sea Salt Spray. Sea salt sprays contain actual salt and the effect of salt in your hair is that it better holds your waves and makes your hair look like it has just emerged from the sea. Tip: You can adjust how much volume you put into your curly hairstyle when using a flat iron. For more volume, you need to get closer to the roots of your hair (not too close, remember we don’t want a burned scalp) and start curling from there by holding the iron perpendicular to the section which you are curling. If you have mountains of hair and would like to reduce the volume of it while you curl, hold the iron vertically for less volume.